Reach is defined as the number of Facebook users who regularly keep a tab on your updates. 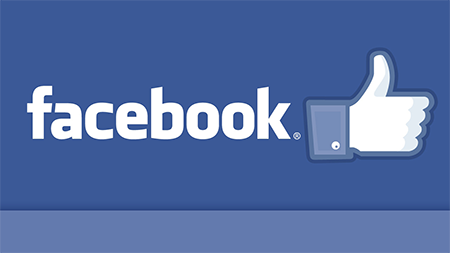 Do you have a Facebook page for promoting your business? When you post content on any Facebook page, it creates a reach that is termed as organic reach. When Facebook users comment and share these updates, it translates into stories that appear as news feed in Facebook user’s account. This is termed as viral reach. Do you make use of email marketing newsletters? In that case, you would attract visitors to these posts by providing links of these posts in your newsletter. The number of visitors that you attract through this channel is termed as organic reach. Paid reach is termed as the visibility you gain through Facebook ads. To know when most fans are online, all you need to do is to check into your Facebook Insights and then click on Posts. The posts which appear as top stories in the newsfeed are the ones that are posted most recently. To increase the probability of viral content, make sure that you post your content when most fans are online. Never restrict to posting your content to any particular time of the day. Quite a few times, most fans would be using Facebook throughout the day. In fact, you could also come across two time-points when most fans are online. So, the most recommended way to increase your reach is by posting content just twice in a day. To built a community of engaged users, you must pay attention to comments posted on your Facebook page. People love to voice their opinion on Facebook. All you need to do is respond to the community. You can embed the optional feature of “threaded comments” on your Facebook page. In this way, you can leave a specific reply to each comment. Make use of Facebook Insights to determine the potential leads that could generate guest-post opportunities. Refer to the External Referrers section that is available in report of Facebook insights. The resulting graph will let you know the websites that are diverting huge traffic to your Facebook page. Most website users are unaware of the Facebook Like Box that is present as a sidebar on the website. This Like Box has a setting that helps you in displaying the most recent updates of your Facebook page. Configure the plugin page and settings so as to update the Like box. What Businesses Ought To Know About Facebook Insights?